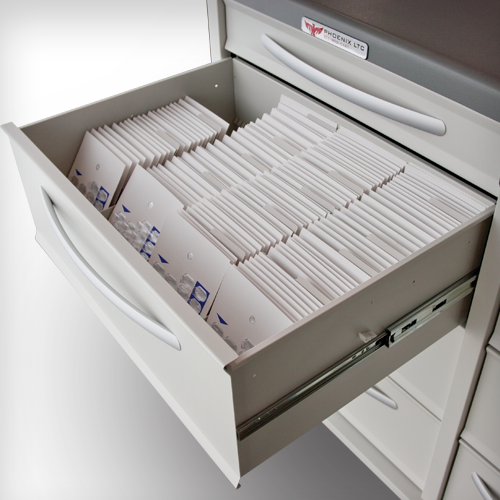 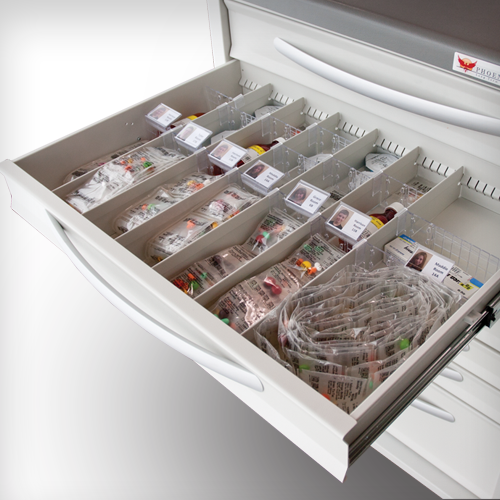 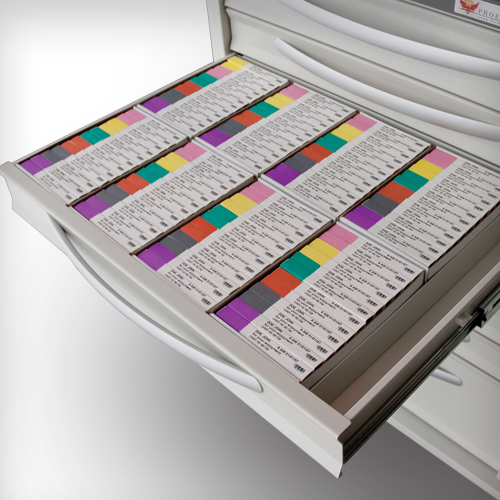 Phoenix LTC Medication Carts have alternative drawer configurations that are simple to swap. 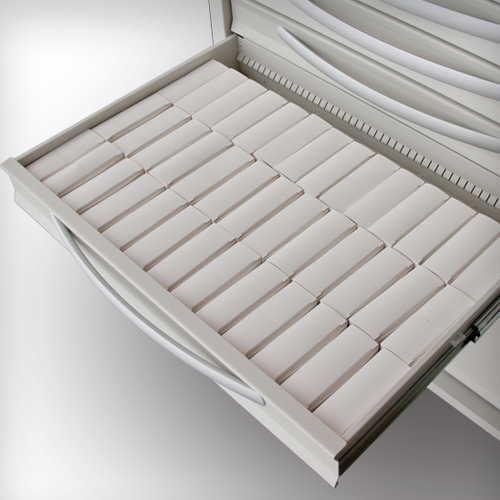 Because of our modular engineering, sliders are easily re-positioned and new drawers added using only simple tools. 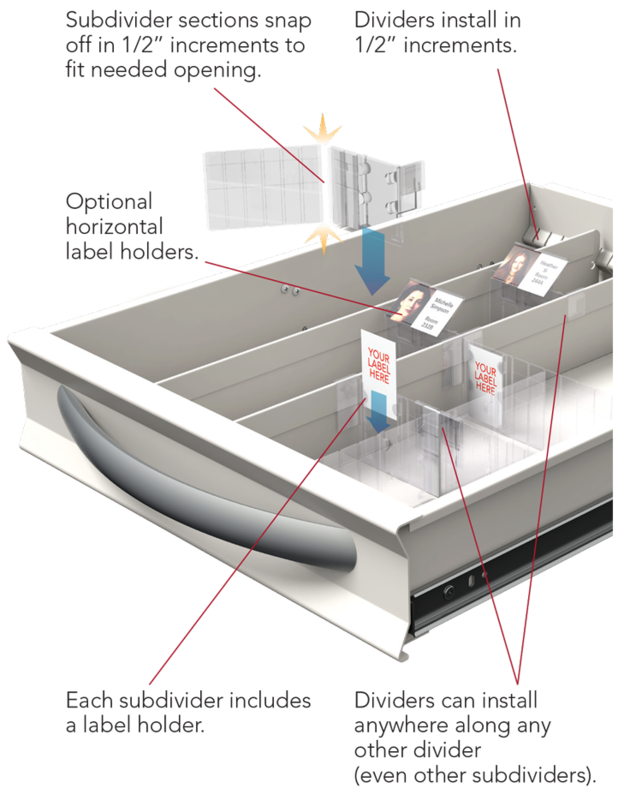 Every drawer is equipped with our clever divider system that adapts to any packaging system imaginable; in addition, the drawers are easily interchangeable, just like the rest of the cart’s components.